Barkly Living offers a range of gifts, homewares and variety all under the affordable price of $20 or less. 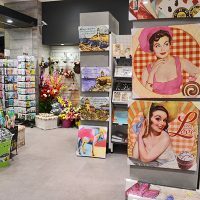 From a great range of Australian made cards and wrap, handmade candles, picture frames and other home accessories, through to a vibrant party supply selection. © Copyright Discover Sydney Road, Brunswick 2019.